I am delighted and honored to have been asked to participate in Heidi Swain's new cover reveal. I have loved her previous two books, and really looking forward to this one...and its Christmassy! Christmas has arrived in the town of Wynbridge. Join Heidi Swain for mince pies and mistletoe and a whole host of Christmassy joy! Ruby has been away at university but now she's back she wants to find a job and settle down. With Christmas around the corner, she takes on a stall at the local market, and sets about making it the best Christmas market stall ever. There'll be bunting and mistletoe and maybe even a bit of mulled wine. But with the new out-of-town superstore just opened, the market is under threat. So together with the other stallholders, Ruby devises a plan to make sure that locals make the Christmas market their first port of call for all their Christmas present needs. But it's hard to concentrate when she keeps bumping into her ex, Steve - and especially when she realises that her feelings for him are still there. Publication Date: 17th November 2016 for ebook and paperback! 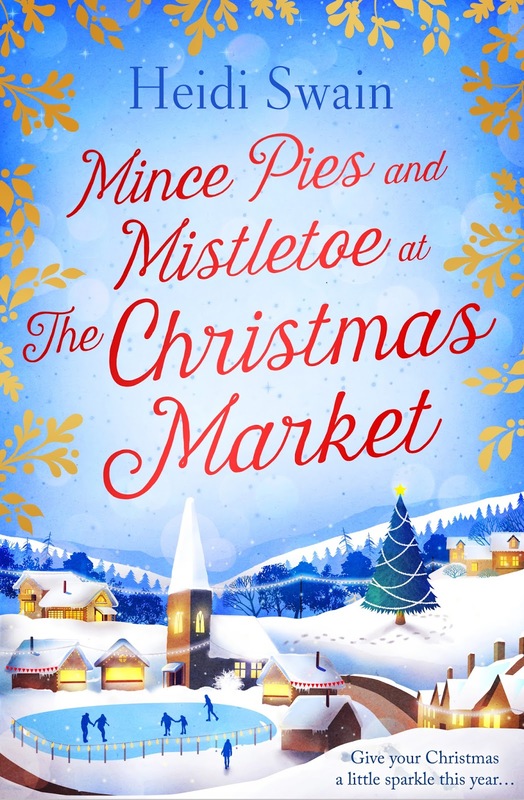 I am very excited for this book, and I just love Christmas markets, so expect to see a review here later this year.